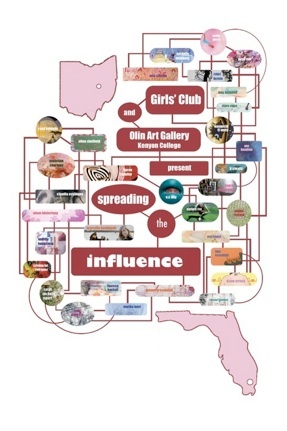 Organized by Girls’ Club in collaboration with Olin Gallery at Kenyon College, Spreading the Influence includes contemporary works of art from the collection of Francie Bishop Good and David Horvitz, and recent work by Studio Art faculty at Kenyon College and members of the community. Spreading the Influence explores how artists influence each other across media, and through social networks, collaborations and mentoring. Artists in the exhibition work variously in illustrational, folkloric and narrative styles, while some reinvent traditional craft media, work in abstraction, or employ photography and video. Girls’ Club and Olin Gallery gratefully acknowledges the generosity of collectors Debra and Dennis Scholl, and the numerous artists who loaned works for this exhibition. 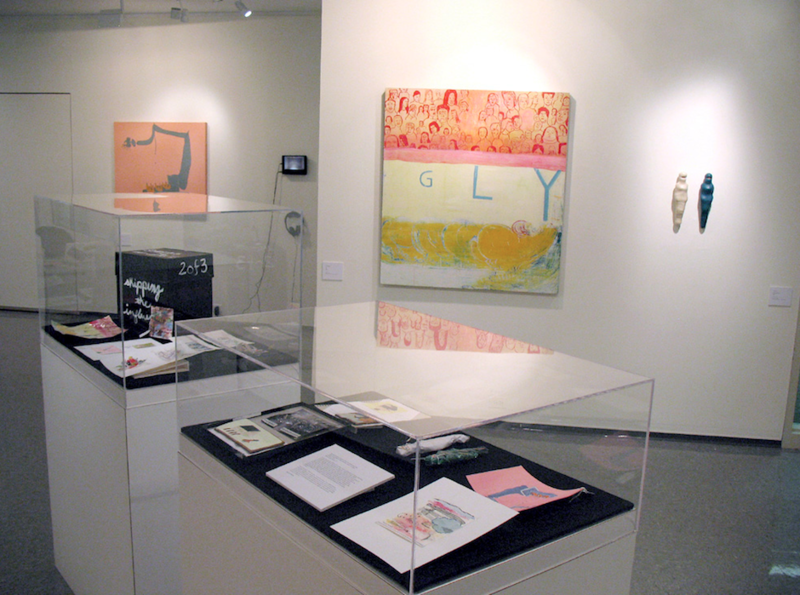 Read exhibition review by Paul Reed, Kenyon student, here.